The kind of week you had last week probably depends greatly on where you live, but if you were in any areas affected by the Polar Vortex of 2019, you probably had some challenges. If you drive a conventional gas-powered car, you may have had some trouble getting your vehicle started up in the subzero temperatures. That’s less of an issue with electric vehicles, but the cold weather presents its own challenges for Electric Vehicles (EVs). Batteries are like humans in that they operate best in a certain temperature range, and they don’t like extremes. Even if you don’t have an electric vehicle, you probably have experienced the effect of extreme heat or cold on another battery-operated device like your cell phone, for example; basically, it shuts down after a shorter period of time. In the case of EVs, extreme cold shortens the range of the car’s battery. At -4F, a battery is at about 50 percent of its performance level. Considering that much of the United States was seeing wind chills of -25 and lower, that doesn’t bode too well for EV drivers. But there are things that drivers can do to mitigate the effect of extreme cold on their electric vehicle batteries, such as warming up the battery while the car is still plugged in, driving more slowly, etc. One of the great things about EVs is that their cabins heat up instantly, but using the heat also drains battery power. However, in extreme cold, not using the heat at all isn’t much of a viable option. EVs are still in their infancy, and engineers are continuously working to develop better batteries. As new vehicles are developed, one thing that must be taken into consideration is battery range and life, and how they are affected by temperature. Extreme temperatures don’t just shorten battery range, they can also damage the battery permanently – and as extreme weather events become more common around the world, electric vehicles must adapt accordingly. As engineers work to design better EVs, simulation is critical to understanding the effects of temperature on battery performance. If they can understand these effects while a vehicle is still in the modeling stage, engineers and manufacturers can be much further ahead before they get to their first physical iteration. With Dassault Systèmes’ solutions for Battery Engineering, manufacturers can discover sources of energy inefficiency and work to improve it. Digital simulation is significantly more effective than physical testing at identifying sources of energy loss and virtually testing ways to mitigate them. For example, PowerFLOW’s simulations predict real world conditions, including temperature, and allow engineers to optimize battery thermal management systems to operate as much as possible. 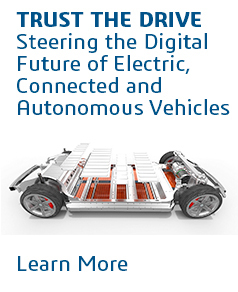 CATIA Systems battery libraries help companies evaluate EV performance through driving cycles. And detailed battery cell performance can be understood with the help of SIMULIA’s Abaqus technology. For now, the Polar Vortex of 2019 has passed, but there will be others – and while battery performance in extreme temperatures is currently not optimal, engineers are hard at work improving electric vehicle batteries for the future, with help from simulation software. Want to learn more about how simulation is helping to keep your car warm this winter? Learn how CATIA, BIOVIA and SIMULIA are working together to bring a solution that truly connects mechanical and system design, materials and chemistry modeling, and performance assessment of battery cells, modules and packs. 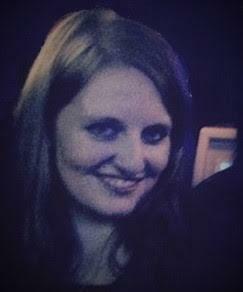 Clare Scott is a Content Marketing Manager working for the SIMULIA Creative Lab team at Dassault Systemes. Prior to her work here, she wrote about the additive manufacturing industry for 3DPrint.com. She earned a Bachelor of Arts from Hiram College and a Master of Arts from University College Dublin. Clare works out of Dassault Systemes’ Cleveland, Ohio office and enjoys reading, acting in local theatre and spending time outdoors. 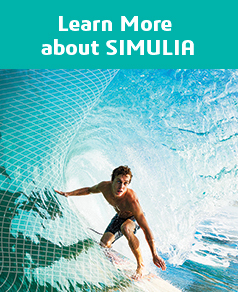 Powered by the 3DEXPERIENCE® Platform, SIMULIA delivers realistic simulation applications that enable users to explore real-world behavior of product, nature and life.